Fiddle Sheet Music for Beginners: Scottish Trio "Ale is Dear"
Fiddle sheet music for beginners from Scotland "Ale is Dear" arranged for violin trio! This FREE ensemble is catchy and fun to play. Here is the way the basic tune sounds, without being arranged as a round or ensemble. I found this melody in the book "A Scottish Fiddle Christmas", which is full of almost-familiar tunes, elusive melodies you know you've heard before but couldn't put a name to. Some of them are LOVELY, and there are a few duets as well. It was one of my students who suggested that this melody might work as a round... we tried it and it ALMOST worked perfectly. So I tweaked just the final measure of Bonnie Rideout's arrangement, and decided to add a drone part - I just love drones. Part 3 may seem terribly easy, but the drone sound is important to pull this ensemble off. And come to think of it, those two chords in the drone part require a careful ear! If you want to add a guitar to this violin ensemble The Ale is Dear, I suggest just two chords - Bm and A. Now here is a group with my favorite, rather humble video version of this fiddle sheet music for beginners; they start with just a fiddle, then the other instrumentalists pile on, and pretty soon there's dancing! 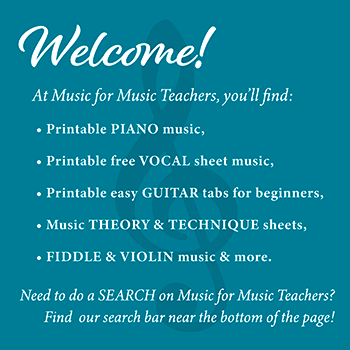 Download fiddle sheet music for beginners "Ale is Dear"